Now a spy novelist, Dame Stella was the first female director general of MI5 – a position she held from 1992 to 1996. She was also the first director general to be officially named and photographed during her tenure, such was the secrecy of her organisation. After leaving MI5, she initially became a non-executive director of Marks & Spencer – and spied on customers. She walked around shop floors, eavesdropped on customers’ conversations about products and reported back their comments to her bosses. The daughter of a senior KGB agent, she was arrested in the United States with nine others in July 2010. They were accused of working in a ‘deep cover’ spy ring for Russia’s external intelligence agency. The cell had been using old-fashioned methods of communication – invisible ink and shortwave radio, which was also favoured during the Cold War. At one point, the undercover Russian agent faced a possible life sentence for espionage, but avoided it through a high profile spy swap between Russia and the US. On her return to Russia, she received one of the country’s highest medals for espionage, and became a celebrity with her own TV show. The 90-year-old is the only female British spy from World War 11 still alive – currently living in Canada. She was among a small number of daring women who risked their lives on the front line. Sonya was parachuted into northern France when she was just 19 and wreaked havoc on the Germans. A specialist in explosives with a reputation for fearlessness, she regularly sabotaged bridges and ambushed German convoys. Violette was one of the most famous female spies who operated in German-occupied Europe during WW2. She worked for the British Special Operations Executive (SOE) and her first mission was to parachute into France and lead a group of resistance fighters. She helped them sabotage bridges and sent intelligence back to SOE about the location of factories producing war materials for the Germans. Captured by the Germans in 1944, she was tortured and forced to do hard labour at a concentration camp. After a failed escape attempt, she was executed aged just 23. A writer of children’s books and a descendant of Indian royalty, she believed in religious tolerance and non violence. She became the first female wireless operator sent to Nazi-occupied France in 1942 under the code name ‘Madeleine’. She maintained communications for her Resistance unit even after fears it had been dangerously compromised. Eventually captured by the Gestapo, she was tortured and executed at Dachau concentration camp. As the German firing squad raised their weapons, she uttered one single word: ‘Liberte’. An American journalist, Virginia worked for the British Special Operations Executive (SOE) and the American predecessor to the CIA during WW2. She’d been badly injured during a hunting accident – which had dashed her hopes of joining the Foreign Office – and used a wooden leg. Disguising herself as a peasant woman, she carried secret messages between agents in France. She became one of the Gestapo’s most wanted targets and they gave her the nickname ‘the limping lady’. Virginia remained in intelligence after the war and became a senior intelligence officer for the CIA. Odette was the first woman to be awarded the George Cross. A wrongly addressed letter changed her life irrevocably. Responding to a British appeal for photographs taken around Boulogne for possible war use, she’d accidentally sent her letter to the War Office instead of the Admiralty. She ended up being trained by the Special Operations Executive (SOE) and was sent to Nazi-occupied France. Betrayed and arrested in 1942 with her handler, she was tortured with a red hot poker but stuck to her cover story. Condemned to death, she was sent to a concentration camp but survived the war. She remains the only woman to have received the George Cross while still alive. A Polish spy, Krystyna apparently inspired the character played by Eva Green in Ian Fleming’s Casino Royale. She was one of the longest serving of all Britain’s wartime female agents. She smuggled Polish airmen into neutral Yugoslavia and helped organise a system of Polish couriers who brought intelligence reports from Warsaw to Budapest. Captured in 1941, she pretended she had TB – biting her tongue and spitting up blood. The doctors who X-rayed her lungs believed her story and released her (she had scars on her lungs from working in an auto shop). She later scaled a 2,000ft cliff to convince a garrison of 200 fellow Poles to surrender. She was stabbed to death in a hotel in Earl’s Court, London, in 1952, by an obsessed suitor who hanged for her murder. Harriet was born into slavery in Maryland, USA, and eventually escaped to Pennsylvania in 1849. She repeatedly risked her life by returning to rescue other slaves including her parents, as one of the conductors of the Underground Railroad – a series of safe houses that stretched to the north. When the Civil War started, she spied for the Union. Slipping through Confederate lines, posing as a field worker or poor farm wife, she reported back on troop movements and supply points. A Philadelphia school teacher, Ann spied for the British during the Revolutionary War. She operated under the cover name ‘Mrs Barnes’ as she spied on American troops. She carried a coin to help identify her as a British spy to Americans who had also been recruited to spy for the British. Ann even gained access to General George Washington’s HQ and found info on the size of American troops and the strength of their weapons. She also helped other spies get past enemy lines. In 1781 she sailed to England with her husband and persuaded the British government to financially recompense her for her spying work. 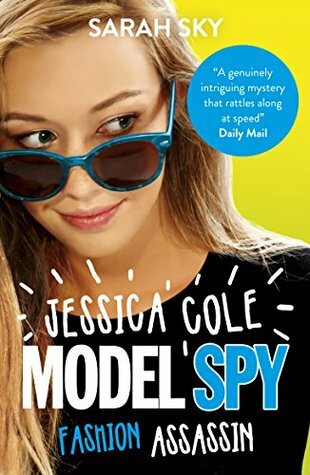 Sarah Sky is the author of Scholastic’s Jessica Cole: Model Spy series with Code Red Lipstick and Fashion Assassin. Catwalk Criminal is published in June 2015. Sarah is a freelance education journalist and lives in West London with her husband and two young children. She grew up in Sutton Coldfield, West Midlands, and studied English at Nottingham University before gaining a post-graduate diploma in journalism at Cardiff University. She trained as a journalist at the Western Daily Press in Bristol. Her highlight was interviewing screen legend Charlton Heston and lowest point was being sneezed on by a cow at a fatstock competition. 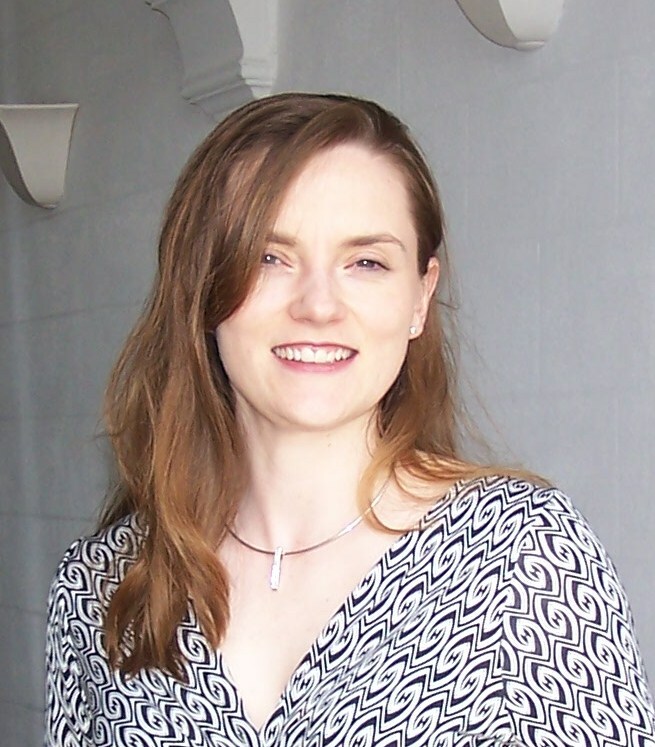 Sarah worked as an education correspondent for a national newspaper before going freelance. She now divides her time between journalism and writing. She loves reading, baking, table tennis and martial arts. She’s a green belt in kick-boxing and a brown with two white stripes at karate, currently training for black.